Their horses hidden, Agatha and Morr stand in the middle of a main pathway in the Windhorn Pass, between two high rock hills. Agatha’s golden blond hair glimmers from the occasional bits of sunlight that peak through the otherwise foggy morning. Her normally unnaturally bright blue eyes, darkened. As usual, Agatha tries to make small talk with Morr, but this time it’s more out of nervousness, doubt and fear of what is to come. “Well…” she speaks to Morr who is standing maybe four feet to the right of her, peering up the path ahead of them. “How many do you think they’ll be” she finishes. “Eight Dark Archers, plus The Queen” he states as he starts to move to the rock hill to the right “I’m getting up top on this right side, I recommend you take the left hill” he tells her. “Okay…” she replies and playfully salutes in Morr’s general direction. Once she makes her way to the top of the left rock hill overlooking the pass below, she tries to speak through thought once more to Agamemnon back in her world, who of course in this world is The Captured King Elias… But she still thinks of Agamemnon as her friend from her world, though she now knows he is her Father. “Father… Agamemnon… Are you there?” she questions. “Barely… I’ve come down with a sudden incapacitating Flu” he replies to her in her mind. “I suspect… They’re torturing Elias, me, of your world” he finishes. The massive form of the Golden Haired King Elias, chained to a dark and dismal wall, his body looking under nourished, and weakened. Before him stands The Dark and Formidable Form of King Eterr, and his two Grey Shadow Wizards… The one with the eye patch sneering menacingly, as he holds a red flame in his hand, held out in front of him. “You best have your “Other Side” stop sending Agatha little “Helpful Messages”” The King speaks to Elias, who looks to have suffered several dark burns on his now bare chest. “You are lost Eterr… You shall not defeat My Daughter, with, or without My Help” he replies. “None the less” King Eterr replies, and then looks at his patch eyed Shadow Wizard “Again” he speaks to him. With this The Shadow Wizard blows on the Red Flame, and it hisses across the room and strikes Elias’s Chest, and all that can be heard from outside the castle is a harrowing scream of a King. Agatha still sits atop her rock hill. “I can not help you My Daughter… I’m–” Agamemnon’s voice fades away. “Father?? Are you there?” she questions, but he does not reply. Suddenly a small pebble strikes Agatha’s shoulder. She looks up, and it is Morr, he is gesturing down the road some one hundred feet or so away where on a Great Black Horse Queen Sorceress Olamna rides at a galloping pace, her Eight Dark Archers riding at her side. Suddenly The Queen comes to an abrupt halt, her Dark Archers following suit. The Queen’s Eyes Glow Green, and the Dark Archers dismount, and position their selves in front of her horse, bows drawn back in readiness. With this Morr suddenly appears down on the road below, standing with his arms crossed, his eyes Glowing Yellow. The Queen smiles evilly “Morr” she speaks under her breath. Morr hearing her distant whisper bows slightly. “HOLY ARROWS! !” She commands, and the Archers all draw forth Arrows of White Light, and ready themselves once more. Suddenly, before Morr realizes it, Agatha lands before him in a single bound… Standing right before him, facing him, her hair Transformed once more to a Dark Black… Her Eyes Burning a Vivid Blue. “Here” she quickly states and in one swift movement places the Silver Necklace with the Blue Amulet that Hemmingbyrd had given to her, around Morr’s neck. Meanwhile Agatha does several back flips, and lands some fifty feet from The Queen and her Dark Archers. “So… You are the Fearless Agatha…” hisses the Queen. Suddenly The Dark Archers let loose their next shots, with normal arrows, at Agatha… But she quickly cuts the arrows from the air with her Silver Blade. “Tell me Queen… Do you prefer we bring your Head Back to Your King… Or simply bury it here” questions Agatha with a sneer, and that’s when Morr struck at the Dark Archers, tearing their throats out one by one, in a matter of moments. And with eight thumps, their bodies slumped lifelessly to the ground. With this The Queen’s Horse kicked its front legs into the air, and her great, twisted staff began to glow a “Morbid Green”. “Oh it will be…” replies Agatha as she and Morr both leap at her. The wounded Knight seems to be doing much better, with the help of The Blue Wizard Hemmingway. Jodan and Sir Elm of Tardenwhal ride behind the Front Knights, with Morr once more in back behind the Back Four Knights. Agatha and Hemmingbyrd are riding in the middle, with Iliad The Fool behind them. “So?” Hemmingbyrd replies half in jest without looking at her. “We head North East to find your Second Knight” he replies. “Who is this Second Knight?” she inquires anxiously. “Oh, ho, ho… Pedoloonto” Hemmingbyrd replies ending with one of his silly words. “Pedoloonto?” Agatha questions, and looks back at Iliad. “It means…” Iliad replies as he rides up closer “If I were to tell you that, you’d surely ride in the opposite direction” Iliad finishes. “Oh” Agatha replies with a wince, as if someone had taken a swing at her and missed. “Hemmingbyrd… I’ve had a bit of a–” Agatha begins, but Hemmingbyrd interjects. “I suppose… But really it’s more of a gut instinct” she replies. “Your gut instincts “Are” Visions my dear” Hemmingbyrd responds. As they make camp as the sun goes down, Hemmingbyrd and Agatha sit by the newly made fire. “Tell me of this… Vision” Hemmingbyrd speaks as he sticks a piece of meat on a stick and hands it to Agatha… She then holds it over the fire, and he does the same for himself. 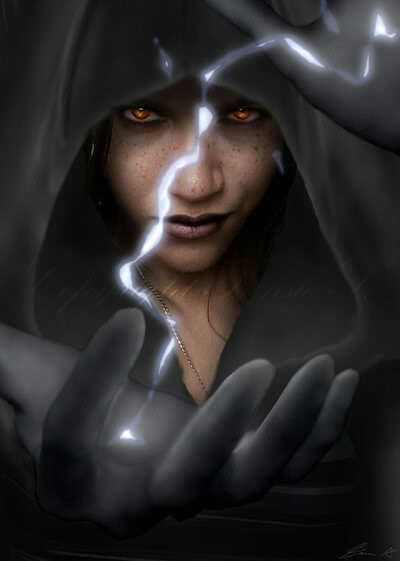 “It’s Queen Sorcerer Olamna” she replies, which causes Hemmingbyrd to drop his meat into the fire. “Blag it!” he announces, then puts another piece on. “I think she’s coming for us” she finishes. With this Hemmingbyrd looks at her “Very interesting”. Hemmingbyrd then looks over at Morr who is drinking a glass of red liquid, who then nods back at him as if confirming that Agatha is right. “Well then… This does change things…” Hemmingbyrd concludes. Suddenly from behind them appears Sir Elm of Tardenwhal “Give Jodan and I a couple of the Dark Fortress Knights, and we’ll take care of them…” he speaks looking down at Hemmingbyrd, then winking at Agatha. She in turn nestles her head downward a bit with a slight smile. “No… I’m afraid not” Hemmingbyrd replies, stands, and starts to pace like he sometimes does… Arms behind his back. “Besides… We will need one of your “Unique” talents where we are heading Sir Elm…” Hemmingbyrd looks at Sir Elm of Tardenwhal as he explains. “Unique talents?” Agatha inquires, looking first at Hemmingbyrd, then Sir Elm, to no avail. “No, I’m afraid we best leave this in Agatha and Morr’s capable hands” he finishes, and sits back down to eat. “What?? Leave her alone with Morr? ?” Iliad interjects, as he also enters the firelight… With this Morr gives him a menacing grin. “I hardly–” Iliad continues, but is cut off. “Try to remember “Fool”” with this Iliad bows his head a bit, and sit at the fire as well. “That Agatha is not just some “Mere” Girl” Hemmingbyrd exclaims. “No… As long as Agatha agrees… The matter is settled… Agatha and Morr shall remain on the The Path of the Forsaken… I mean… Windhorn Pass…” Hemmingbyrd quickly corrects himself “And the rest of us shall continue North East to begin our “Most Fragile” of negoitians with “Our Second Knight”” Hemmingbyrd finishes. “Path of the Forsaken?? Is that what this place is called?? ?” Agatha replies. “Now I’m going to sleep… And suggest the rest of you do the same… Save the Guard that is… Goodnight” with this Hemmingbyrd wanders off to his sleeping blanket. Leaving the rest of them in thought, and Agatha, shaking with fear. Far to The North upon the Mountains of Kree, The Dark Queen Sorceress Olamna, reluctantly makes her way down the Snowy Mountains upon her Great Grey Steed, Called Melancholy. Accompanying her on Horseback Are The Eight Black Archers of Norawyn. “Queen Sorceress Olamna makes her way down the mountain My Lord, she shall intercept Agatha and her Party in two to three days I’d say” speaks one of the two Shadow Wizards, this one marked by an Eye Patch… Otherwise King Eterr could never tell the two apart. King Eterr does not reply, but rather seems to go deeper in to Pensive Thought… His Blood and Hatred Surely waiting for Olamna to fail. Outside the Entrance of The Yokade Labyrinth, Agatha’s Party mount their horses. “I shall ride ahead” proclaims Morr who looks at Agatha, nods, she nods in return, and he rides off. Meanwhile The Blue Wizard Hemingbyrd makes sure that the wounded Dark Fortress of Doom Knight, as well as the newly saved Sir Elm of Tardenwhal, are well secured to their horses, and are ready to ride. “I am forever in your debt My Lady” with this he reaches down and pulls her left hand to his lips, and kisses it. Agatha smiles slightly, but is mostly a bit overwhelmed by all of it. “YAHH LET US BE OFF! !” bellows Jodan, and so the Eight Dark Fortress of Doom Knights, Jodan and Sir Elm of Tardenwhal ride on in the direction in which Morr had already gone. Leaving Hemingbyrd and Iliad The Fool back with Agatha. Hemingbyrd rides up next to her as she gets on her mount. “You did well Agatha… Your Father would surely be proud” he says with a smile. “Yes Indeed–” Iliad starts to say as he rides by, but can’t get his horse to stop once more, and so he is gone. “Silly Fool” speaks Hemingbyrd under his breath as he too rides off. “Indeed I am proud of you Agatha… But remember, always stay several steps ahead of your opponent…” speaks Agamemnon in her mind. “Olamna” Agatha suddenly speaks out loud to herself… “YAH!” she calls out to her Steed, and rides off. “I awaken in the dark… The floor is cold, like stone… And there is moisture in the air… The last thing I remember was The Minotaur Orft was about to charge me, when Iliad like a “Fool”, which of course makes sense… As he is a Fool… Jumped in front of me just as Orft was about to strike, which ignited his Protective Yellow Ring’s Shield blasting both Iliad and myself against the Labyrinth wall behind us… It must have knocked both of us unconscious…”. “Suddenly the chamber door is open, and but a peak of light fills the chamber… I can not see who opened it… But the door is now left partly open… I can see Iliad and, and the six Dark Fortress of Doom Guards chained up near me… All unconscious”. “But I am not chained… And so I make my way towards the door, grasping the blue amulet necklace around my neck which Hemmingbyrd had given me as I step slowly into the light…”. “Speaking of Hemmingbyrd… Where is he”. “Focus Agatha… I move out of the chamber into a long hallway, which has torches mounted every fifteen feet or so”. “There is only one way to go, and so I take it”. “I notice great hoof steps imprinted on the ground as I go”. “As I reach the end of the hallway, another door has been carefully left open… And as I step through it into a great chamber, I can hardly believe my eyes…”. “Orft is sitting at what appears to be some sort of illustrious throne, and is feasting upon a great cooked leg of a beast… Tearing meat from it as he watches me… He’s also eating some sort of small fruit berries, and swigging what appears to be an enormous chalice of wine…”. “He’s watching my every move…”. “And Morr… Tears come to my eyes as I look upon Morr who has been chained by each of his limbs, and is hanging above Orft’s throne… He and Jodan are both watching me as well… Jodan’s eyes blaring red… The beast in waiting… And Morr’s eyes bright yellow… Also… Waiting”. “Your friends are of no use to you now Girl…” speaks Orft in a great growl as he continues to stare at me as he eats. “Mustering bravery I didn’t think I had, I step towards Orft, and kneel before him”. “Please My Lord… Release my friends… Take me instead” I plea. “Jodan and Morr do not look pleased by this”. “HA! I already have you” Orft exclaims as he tosses the large bone of the beast’s leg to the ground. “Why have you and your party come to The Yokade Labyrinth… Knowing full well, that you will die here” he states more than asks. “You must get to Morr’s black leather wrapped item” suddenly Agamemnon’s voice returns within Agatha’s mind. “We’ve come to free Sir Elm of Tardenwha… He is a Knight and Servant of The Dark Fortress of Doom… And King Elias” I explain. “Meanwhile I scan the room, and see Morr’s black leather covered item sitting on a near by table, still wrapped, and unrevealed”. “Morr sees that I have seen it, and nods at me”. “Your Knight is dead… You should not have come here” Orft growls. Suddenly a voice comes from the back of the room. “MAYBE NOT BULL HEAD!! BUT… ORDOVU!” it’s Hemmingbyrd… He stands in the doorway at the back of the chamber, a stream of glowing blue smoke surrounding him. “HA HA HA! !” Orft laughs. “You and your “Strange” words, and blue fire do not scare me Wizard!” bellows Orft who remains in his throne eating and drinking. “MAYBE NOT… BUT YOU SHALL STILL PAY FOR YOUR INSOLENCE… WITH YOUR LAST BREATH” Hemmingbyrd replies as he begins to shift his hands around the blue glowing smoke, most unnaturally. Just then, out of nowhere, a Giant Gargoyle Bat swoops towards Hemmingbyrd! “SCREETCHHH!!!!! !” it screams as it grabs onto him mid spell. “OOMFF! !” yalps Hemmingbyrd as he’s then tossed into a great magical cage which is fastened near the ceiling, the cage door closing immediately behind him. “Oh… Balancort” mumbles Hemmingbyrd in frustration. With this Orft stands “HA HA Foolish Wizard… You are are no match to Orft and the Magic of the Yokade Labyrinth!” he exclaims as he reaches for his enormous spear. “Now Agatha…” Agamemnon reaches within Agatha’s mind once more. “HMMFF! !” snarls Orft as he hurls his spear at her. “UNICORN HORN! !” Hemmingbyrd suddenly yells. “MORR!! WHAT HAVE YOU DONE! !” he continues. Meanwhile Agatha stands forthright holding the white, gold, silver blue Unicorn Horn glistening in her outstretched hand before her. “LIKE MY FRIEND SAID BULL HEAD… ORDOVU!” and with great ferocity Agatha hurls the Unicorn Horn at the Minotaur’s chest, striking him directly in the heart. With this Morr’s eyes glow yellow fiercely and he smiles baring his sharp fangs, and Jodan turns Wolf Beast and begins to howl! Hemmingbyrd in turn sheds two blue tears, which he quickly snatches from his visage, and tosses into a little blue velvet satchel at his side. “As I approach the body of the Minotaur, I can hardly believe what I see… His body transforms into a handsome man, with dark brown shoulder length hair… The Unicorn’s Horn sticking into his heart… He lay there unclothed, perhaps no older than his late twenties”. “Oh my god… What have I done” Agatha speaks without meaning to, and kneels down by the body. Meanwhile the darkened walls of The Yokade Labyrinth turn to a white grey marble, and all of its dark magic fails… Morr’s chains, and Jodan and Hemmingbyrd’s cages disappearing with it. Morr in a flash of light is at the Fallen Knight’s body, and withdraws the Unicorn Horn from his chest, and Sir Elm spudders up a bit of blood. “Oh my god… He’s alive! ?” Agatha speaks in disbelief. “The Unicorn’s Horn can not hurt an honorable man” Morr explains, and sure enough Sir Elm’s wounds close up as quickly as they appeared. “It was the curse… And Sir Elm is not the only one” Agamemnon speaks to Agatha once more. The Great Glowing Green Sphere is some twenty inches in diameter, and looks as though Green Smoke leaks from it. “Tell Me My Queen… What does the Great Orb of Da-tok tell you…” questions King Eterr with Mocking Authority. “They are within the Yokade Labyrinth…” she replies as she waves her hands around the orb. “And what of the Minotaur Orft…” he demands. “He has Struck Down one of their Guards… Leaving The Blue Wizard behind to care for him” she responds. “Tell me about… Agatha” he says, which gets The Queens attention. Suddenly she flies across the room, and places her long dark claw like fingernails against her King’s Throat. “Worry you not about the Young Girl My King…” she says in a threatening tone “Her Power, shall be mine”. The Party moves slowly forward, having left Hemmingbyrd and two of The Dark Fortress of Doom’s Guards behind. Including the one that has been wounded. Suddenly Jodan raises his right hand in the air, indicating the Party to stop. “I smell him…” suddenly Jodan’s eyes turn a deep red, and he begins to transform horridly into The Great Dark Wolf Beast, standing some eight feet tall, his fur almost black. Jodan turns and faces the Party, his face that of a Great Wolf “Wait Here” he says in a growl. 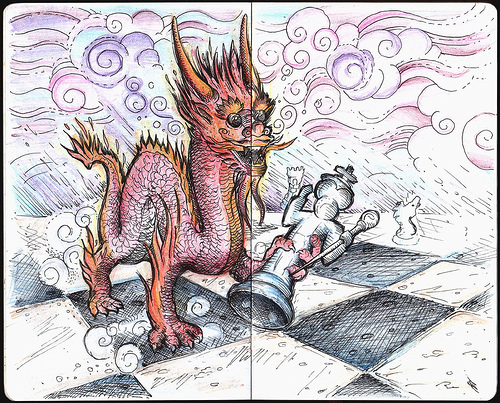 He then bounds in great unnatural leaps forward, rounding the many curves and twists in the Labyrinth. With this Agatha takes two steps forward “Where is he going? ?” before being stopped by Morr, who reaches over and places his left hand firmly against her chest. “Don’t worry about Jodan…” he plainly states. 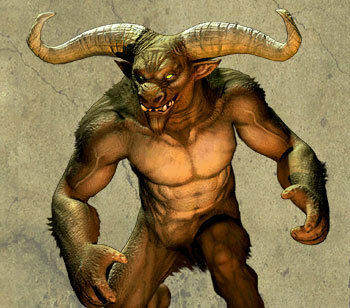 “You mustn’t let them harm The Minotaur Orft” Agamemnon’s voice suddenly returns in Agatha’s head. “What?? What do you mean… He Holds My Knight?? Sir Elm of Tardenwhal” she thinks back to him. Suddenly Jodan in Wolf Beast Form comes flying through the air, as if being thrown… And when he hits the ground, he comes out of Wolf Form… “RUN! !” he yells. 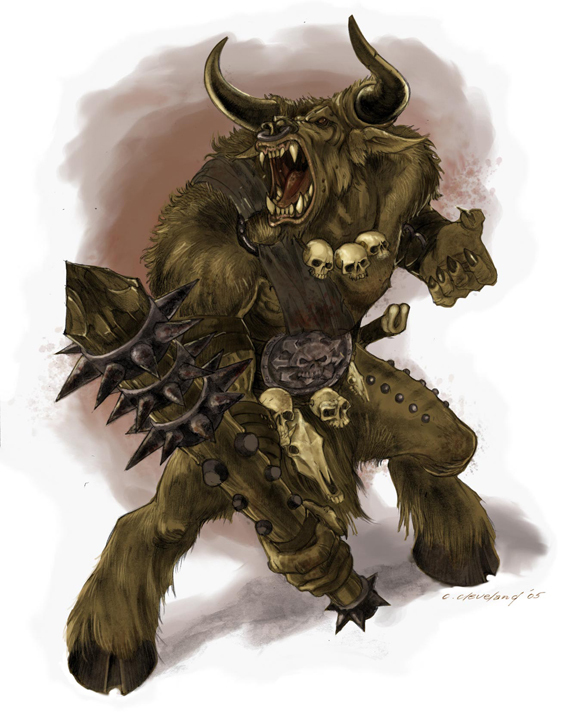 Out of the dark suddenly comes Orft, his massive Minotaur Form charging straight at the Dark Fortress Guards, as they try their best to throw up their shields. Morr brings Jodan to his feet in one quick movement, and with his other arm tucks Agatha behind him. Meanwhile the Guards are scattered everywhere when Orft strikes! “Oommmfff!! Ummpphh! !” they exclaim as they strike the Labyrinth walls surrounding them. “The Curse Agatha! The Curse! !” Agamemnon’s voice rings through Agatha’s head. Orft is now at the back of the party, his Great Spear in his hand, he readies to charge again. “What Curse? ?” Agatha questions Agamemnon. “Stay here!” Morr says as he moves like light at the Minotaur, but is knocked aside by Orft’s Great Spear. “Argahhh!! Morr yells as he strikes the nearby wall. Orft then eyes Agatha, his black eyes gleaming. “Orft… Is Sir Elm of Tardenwhal! !” Agamemnon’s voice echoes in Agatha’s head. “Oh no” Agatha suddenly says out loud… As Orft begins his charge. Leaving only a blackened mist, with few hopes of light… And so the Walls have mounted torches every thirty feet or so. Four of the Dark Fortress of Doom Guards walk in front, their hands upon their sword handles, in preparation for something… Beastly. The other four bring up the rear, where Iliad has planted himself, and insists on telling them terrible, forgettable jokes for most of the journey… With the occasional “Song of Impending Doom” that he duth break into from time to time. Meanwhile, Hemmingbyrd walks right behind the front guards, from where he decides on which twists and turns they should take… And Jodan and Morr behind him. And that’s when the voice came. “You are not ready for battle Agatha… Not… Yet” he explains. “Who… Is This?” Agatha replies within her head. “Agamemnon… Or… Elias” he replies. “From my world? ?” she questions, meanwhile Hemmingbyrd doth peak over his shoulder as if he knows she’s thinking to someone… Which of course, he does know. “Yes… And no” the voice replies. “You were not born in this world Agatha… You were born where you are now… You are only now returning to your “True” Home” he explains. Just then Hemmingbyrd issues the guards to stop. “Halt…” he speaks, and then stands perfectly still, as if listening for something with his mind. “He knows we’re here” Morr suddenly speaks. Hemmingbyrd looks at Morr, and nods in agreement. “Continue on” Hemmingbyrd orders, and so they do. The guards look more than a tad bit… Nervous. Iliad suddenly breaks into song. Also breaking into cartwheels as he sings. “ENOUGH FOOL! !” Hemmingbyrd orders fiercely, which stops Iliad in his tracks. “Sorry Hemmingbyrd” Iliad replies quietly, and returns to the back of the party. “Bring The Fool She Says!” Jodan speaks in frustration. “If I’m not ready Father… Er… Agamemnon… Then what am I to do… I don’t wish to get these men killed” Agatha speaks in her mind. “Stay close to Morr…” he replies. “Somehow, I always do” she replies back. Suddenly the next closest torches go out… And the party stops. With this, Iliad is suddenly by Agatha’s side “If anything happens, get behind me” he says as he gestures towards the protective shield ring which once again rests on his finger. Just then a Huge Spear shoots through the air, and out of the darkness, striking one of the guards in the chest! “Ooomf Argghh! !” he yells as he falls to the ground. “HAHAHA! !“ laughter can be heard from ahead of them, sounding as if it’s fading off into the distance. Just as quickly as the guard has fallen, Hemmingbyrd is kneeling at his side, cradling him from the ground. 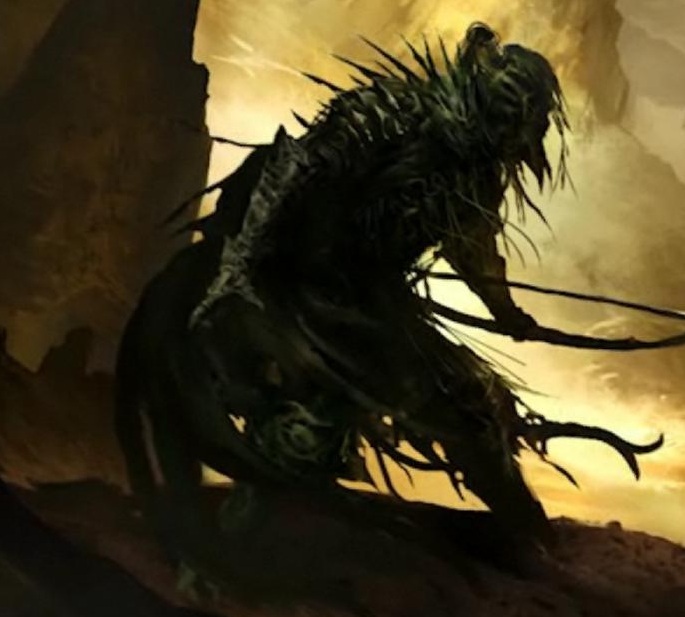 “Hold on man… Hold on” he says as he wipes blood from his mouth, and tries to slowly remove the Giant Spear. “The rest of you go on, there is no time to spare” Hemmingbyrd orders. “Leave me but one guard, I shall rejoin you as soon as I can” he explains. With this one of the remaining guards kneels by the wounded man’s side as well, and the rest of them continue on. 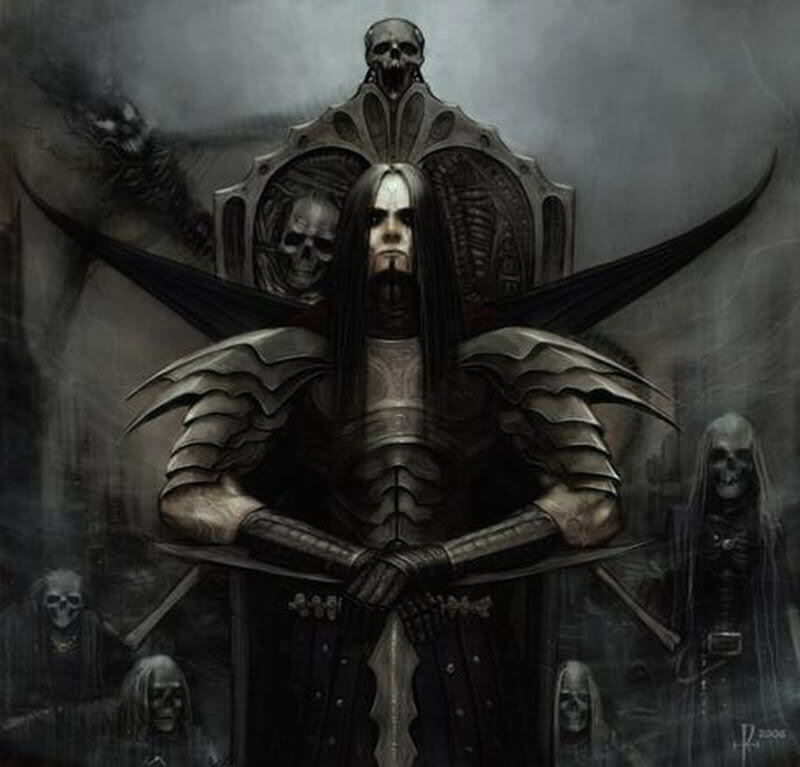 “So there we were… Jodan, Morr, Hemmingbyrd, Iliad and eight of the Dark Fortress of Doom Guards…”. “All on our horses, sitting, staring at the Great Entrance Walls of The Yokade Labyrinth before us”. “The Walls looked to be maybe eighteen feet in height…”. And made of an “Unclimbable” grey stone”. “Yes, we had made it through the night in the Red and Blue Forest of Doth, without an “Icy… Dead… Walkers” incident”. “But sitting here… Now… Before these Great Walls… That fact delivers no solace”. “Sooo… Why are we here again?” Agatha asks. “Simple My Dear…” Hemmingbyrd cheerfully replies. “Your First Knight, Sir Elm of Tardenwhal, has been captured by The Evil Minotaur Orft” he explains as he dismounts from his steed, and ties it to the wall. The Others quickly do the same. “And “We” must rescue him” with this he raises one finger into the air, and approaches Agatha. “By the way Agatha, I have something for you” he says, as he pulls forth an ornate dark wood box from within his Blue Wizard’s Robes. He opens it, and brings forth an Amulet on a Silver Chain… The Amulet is a Deep Blue. He then places it around her neck. “There you are…” he says and smiles. Meanwhile Iliad is watching every move, and as he is, he plays with the Yellow Stoned Ring on his finger, which Hemmingbyrd had returned to him several days back. “Here’s to better health I say” Hemmingbyrd decrees. 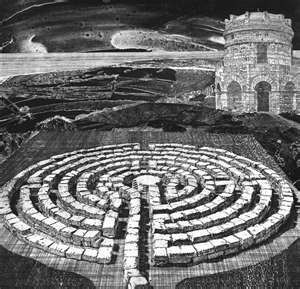 “Alingbore” he says, and begins to walk into the Labyrinth. Iliad seems pleased by Hemmingbyrd giving Agatha the gift. “Are we ready then” Jodan says to the rest of the group, and he, and the Dark Fortress of Doom Guards follow Hemmingbyrd… As does Iliad and Agatha. But once again, Morr is at his saddle bags, and pulls out a one and a half foot long black leather wrapped item, and puts it into his crushed red velvet vest’s inside pocket… All of his other attire is black. Just as he is doing this, Agatha looks back after him, to see where he is… He is some thirty to forty feet away. And sees him place the item in his vest. It is at this exact moment that Morr suddenly looks up at her, his eyes blaring yellow again. “See anything you like” he states. It’s Morr… Like a streak of light, he’s moved right behind her in a blink. She quickly clutches her Deep Blue Amulet and replies “Not so much”. “Good” he says as he walks by her, his eyes back to normal black. “That won’t protect you from me by the way” he speaks as he passes. He then looks back at her “Which I am not”. Agatha’s eyes glow bluer once more. “You are not my Enemy Morr” she replies almost as if she had no part in pushing the words out. “Indeed” he replies with a sneer, and looks away.